My Silent Wake's new offering will be a very nostalgic listen for those who appreciate the sound of 90’s Doom Metal. When one thinks of Doom Metal from the UK, some may think of the beautifully miserable and crushing songs of Warning, 40 Watt Sun, and The River. Some may think of the occult traditional Doom of The Lamp of Thoth and The Wounded Kings. However, all of these bands have failed to truly bring attention to the Doom Metal scene as much as the Peaceville Three; Anathema, Paradise Lost, and the most famous of the three, My Dying Bride. Back in the 90s, these three bands combined the morbid sounds of Death and Doom Metal with elements that were unheard of in Metal at the time. 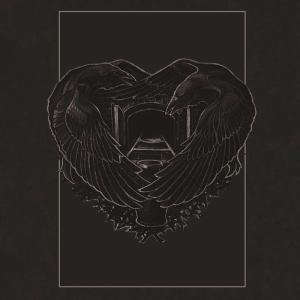 Romantic lyrics, ethereal female vocals, and violins popped up in the mix of sinister riffs and gravelly harsh vocals, transforming the morose and ugly style of Metal into something that sounded atmospheric, original, and perhaps even beautiful! There are quite a few modern bands that have drawn inspiration from The Peaceville Three, emphasizing Gothic elements in Melodic Death/Doom Metal (noteworthy examples would be Draconian and Swallow the Sun) and then there have been a plethora of bands that shamelessly mimicked them (namely Cryptal Darkness, Dissolving of Prodigy, and Celestial Season). 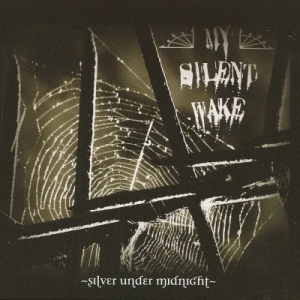 Now, we come to My Silent Wake, a band from the UK that plays the ultimate mix of Gothic, Doom, and Death Metal. This band is the one true successor to the Peaceville Three, resurrecting the classic 90s sound with some original twists to add their own imprint on the genre! This new album, Silver Under Midnight shows a modern interpretation of classic albums such as Turn Loose the Swans, Serenades, and Gothic. After calm prelude ‘Midnight’, opener ‘Destroyer’ kicks off with ominous guitar melodies, Stoner-influenced riffs, and anguished growls. Like The Peaceville Three, My Silent Wake make use of elements and instruments that aren’t normally heard in Metal, such as Medieval tunes and the predominate use of dulcimer! They are incorporated neatly into the music to provide a sophisticated Gothic atmosphere, which is complimented by deep clean vocals and eerie keyboard arrangements. 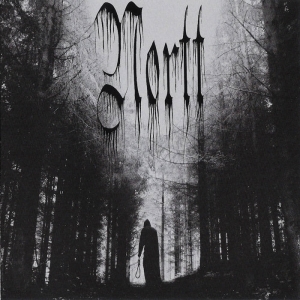 The album’s single, ‘The Last Man’, could even be considered a true Gothic Metal track, sounding like a much darker and more aggressive version of Tiamat’s Wildhoney. The album smoothly progresses from these accessible passages of melodic riffs and clean vocals, to sections of fast and ominous Death Metal. This sticks out mostly in ‘Oblivion’, in which the sick grunts, dissonant melodies, and corrosive guitar tone resonate the macabre despair of Paradise Lost’s first album, alternating between a frantic tempo and a slower pace to allow the listener to catch up. With the band’s use of various rhythms, they almost drift into Progressive territory, which is established even further with complicated lead guitar solos and technical chord progressions. In spite of this diversity in influences and rhythms, My Silent Wake keep their feet firmly planted in a Doom Metal basis. Slow and Sabbath-inspired riffs weave their way around the outbursts of speed to keep the fellow Doomsters satisfied! The band fully demonstrates their true shades of Doom in the epic final track, ‘Third Season’. The fourteen minute closer consists of Melodic Doom with soft clean vocals, melancholic riffs played at a relaxed tempo, and long breakdowns of clean guitar and faint dulcimer. 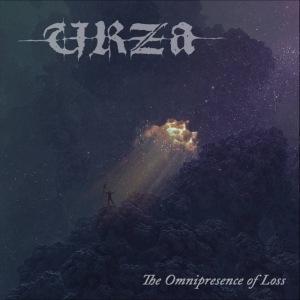 In the pleasant autumnal atmosphere, hints of Agalloch and The 3rd and the Mortal can be detected by the listener as the drifting guitar melodies slowly fade out, effectively ending the album on a calm note. Needless to say, Silver Under Midnight will be a very nostalgic listen for those who appreciate the sound of 90’s Doom Metal. Not only will it be appealing to fans of The Peaceville Three, but fans of Draconian, Katatonia, and even Woods of Ypres are bound to find something to enjoy in it as well.